We have just produced these great little pocket size maps for SUTMAP who produce Adventure and Leisure maps. 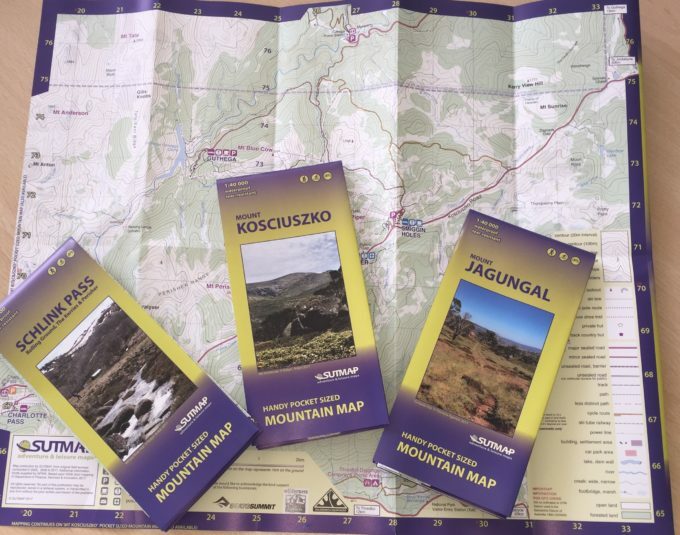 SUTMAP, based in Australia, produce a wide range of maps for the outdoor adventurer including orienteering, bush walking, cycling and ski touring. Their own range of topographic Mountain Maps have been printed here at Kingfisher Press on Polyart, which is damp resistant and tear-resistant. This means they will with stand being tucked away in your pocket ready to come out in all weathers. They can also be handled lots of times without losing their print and durability. Polyart can be die-cut, laminated and folded to suit a wide range of different products. Because it’s a synthetic paper its tear-proof quality makes it ideal for books, maps, tags and cards. Find out more about Polyart and Kingfisher Press here. If you have an outdoor print project give us a call. We work with a variety of durable stocks including Polyart and Synapps. Both of these materials help your print to be tough and long lasting. Kingfisher works with a wide range of stocks and materials for all print projects including synthetic papers, such as polyart. We also work with Magnecote for magnetic applications, as well as a wide range of recycled, carbon balanced, coated and uncoated papers. Contact Kingfisher Press now to find out more about print solutions, including litho, digital and wide format.